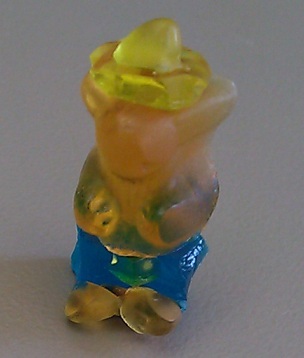 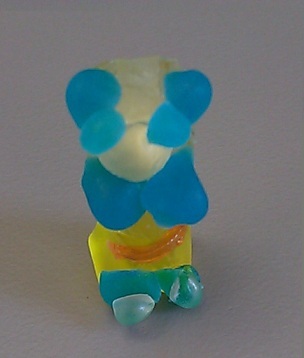 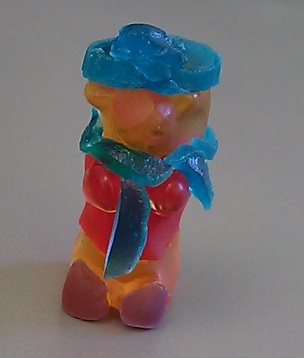 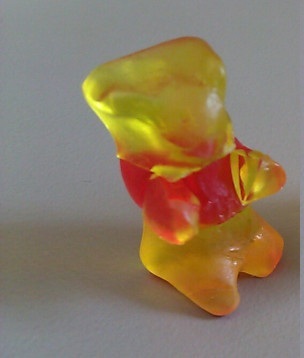 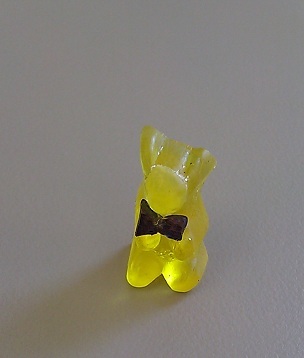 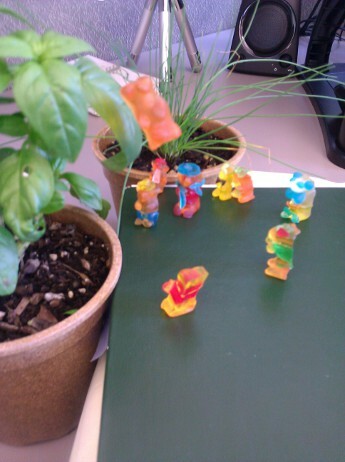 My ongoing project where I make famous (usually cartoon) bears, out of gummy bears. 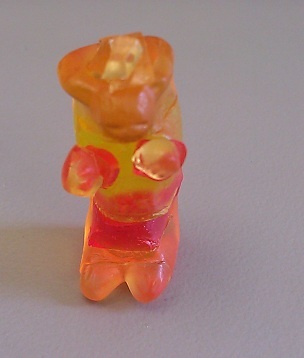 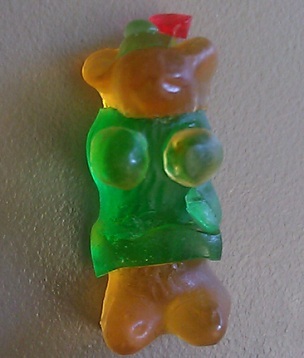 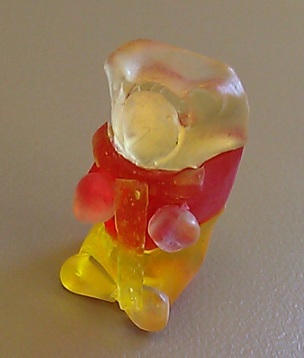 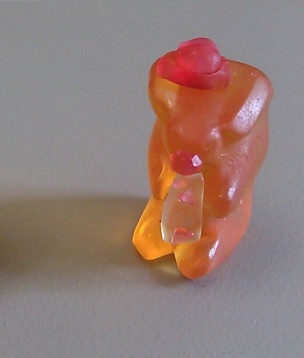 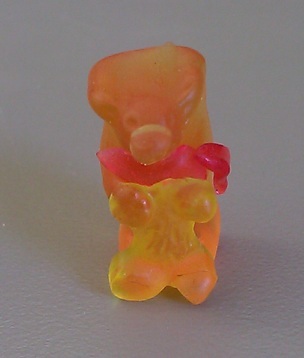 All bears must be made entirely out of gummy bears. 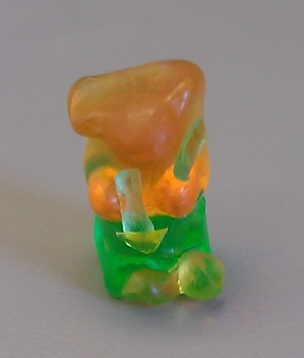 If there is a colour change, it must be represented by cutting a piece out from a different gummy, and putting the two pieces together. 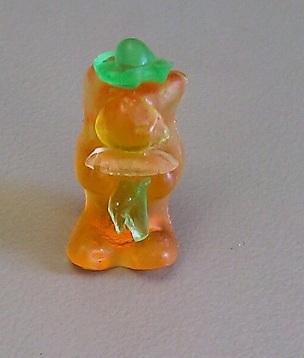 Painting/colouring gummies is not allowed, all features/clothes/accessories must be made out of gummy parts.